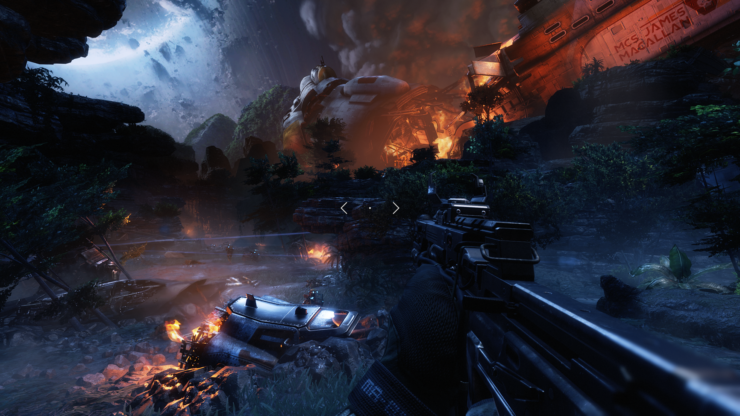 A new Titanfall 2 Xbox One X patch has been deployed by Respawn Entertainment to improve the game’s framerate and visuals. Following last week’s Titanfall 2 Xbox One X update, something was wrong with the game on Microsoft’s new console. The overall presentation of the game was better on the PS4 Pro while the XB1X has been equipped with substantial more powerful hardware. Developer Respawn assured that they were looking into it, and now they have released a small patch for Microsoft’s console to bump the resolution and framerate of the game. “A small patch has been deployed for Xbox Only to improve visuals and performance on Xbox One X”, reads Respawn Entertainment’s tweet. While the update weighs in at only 24mb, it offers a noticeable difference in both performance and resolution. According to producer Drew McCoy, who goes by the name DKo5 on the Titanfall subreddit, the update improves the title’s framerate in the more demanding areas, and keeps the resolution (which is dynamic) higher.